We are back again for 2018 which is going to be the biggest and best Cali’s on the Farm yet! There will be live music, kids entertainment,and much more all within our own two fields with marquee ! Warren Farm is an excellent campsite with brilliant facilities including award winning washrooms, kids play barn, pets corner, and a shop on site. 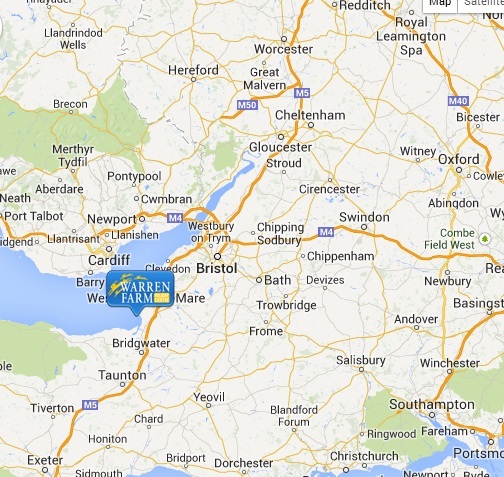 Situated just 10 minutes away from the M5 motorway the site has easy access from all parts of the UK. Tickets are available in advance only unless we have space available on the day and then tickets may be available on the gate, details will be published nearer the time. Tickets will be delivered by email within 48 hours, please print this out or keep a note of your booking reference. Arrival is strictly from 10am on Thursday xxxxx June for three night ticket holders or from 10am on Friday XXXX June for two night ticket holders. Last entry is by 22.30. We cannot allow any early arrivals on the rally field, if you want to come early this will mean you need to pitch on the normal campsite and pay them directly you will then need to move again to your rally pitch.. If you have a large drive away awning or shelter please book a standard pitch as there will be more room for you.